The father of a woman killed in a car crash said he would "find it hard to live with" himself if he was involved in a similar fatal incident. 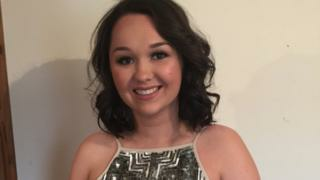 Julian Smith said the loss of Rhiannon, 21, has changed his attitude to driving and he wants action to cut road deaths. Trainee teacher Miss Smith was killed as she tried to turn onto the A48 near Llandevaud in Newport. The Welsh Government said while progress to reduce deaths had been made, there was work to be done. "What has happened to me over the past 18 months has been devastating," Mr Smith told BBC Radio Wales' Good Morning Wales. His grief has led to him totally changing the way he approaches driving because he said would find it hard "to live with" or "justify" being responsible for another family experiencing a similar loss. In 2017, police forces in Wales recorded 4,556 road accidents involving personal injury, 7.4% fewer than in 2016. Over the same period, 103 people were killed on Welsh roads - the same as in 2016 - while 961 people were seriously injured, a reduction of 43. Mr Smith described having a "much wider perception of the dangers" and a more conservative approach now. This includes never using a mobile phone in his car, never going over the speed limit and always giving himself plenty of time to arrive at a destination. He said that like with rail and air, there should be a system in place to review and learn from road crashes to help stop further accidents. Miss Smith, a Cardiff University graduate was finishing her PGCE at the University of Gloucestershire and had applied for a job as a teacher in London when she was killed. 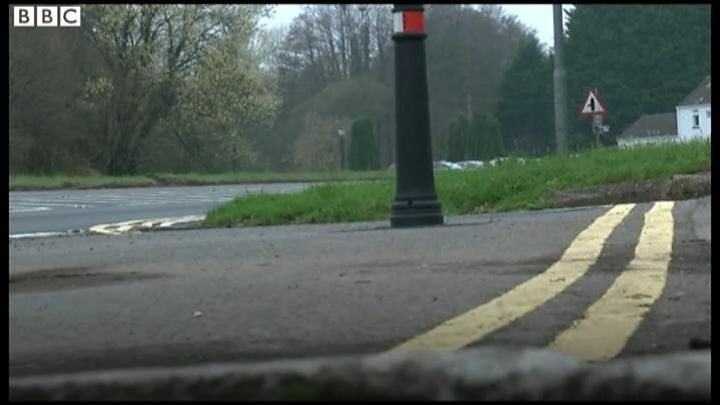 The incident in March 2017, happened when she had to drive around a car parked on the side of the road and join the A48, which has a 50mph (80kmh) speed limit. There were no charges for what was seen as a tragic accident and while Newport council has stopped cars parking in the area, Mr Smith wants the speed limit cut. Alongside his wife Gill, he will host a special road safety conference in Newport on Friday, calling for greater measures to prevent further fatalities. "With my daughter's collision it was the realisation of the numbers that die on the roads and to encourage local and national government to recognise their obligations," Mr Smith added. "In the past there has been talk of hitting zero deaths, but very little talk recently whatsoever." More speed reduction schemes, further safety tests and the creation of a specialist collision investigation team, which Newport East MP Jessica Morden previously raised in parliament, will be called for at the conference later. A Welsh Government spokesman said it had had targets in place since 2013, when the Road Safety Framework for Wales was published. "In 2017 we made good progress towards the targets for an overall reduction in the number of people killed or seriously injured (KSI) (24.3% reduction on the 2004-08 baseline) and in the numbers of young people KSI (40.7% reduction on the 2004-08 baseline)," he said. "There is more work to be done and we will continue to encourage road safety schemes across Wales." According to a report by the European Commission, Sweden and the UK have the safest roads in Europe. "Britain has some of the safest roads in the world and the number of fatalities has fallen by 44% over the last ten years - however we are determined to do more," a Department for Transport spokesman said. "Our campaigns, especially those focusing on road safety, play a key role in ensuring the public stays safe on the roads." How does 'graduated driver licensing' work overseas?